Kermitt Bentham: How many 400 meters have YOU Raced? Try 500! 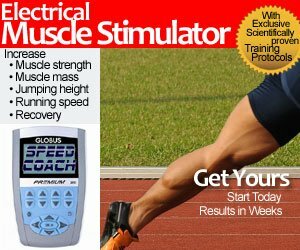 I want every 400 meter sprinter to go back in your diary and check how many 400 meter races you have run. That included qualifying races, indoors and relays. 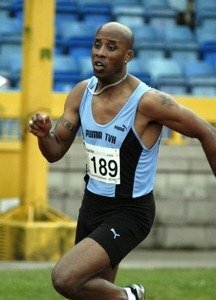 Here is a good spotlight on Kermitt Bentham who has run 46.57 as an open athlete back in 1987, 49.5 as a Masters M40, and 52.32 in M45. It looks like I have some major competition! KERMITT BENTHAM has been a successful sprinter since the early 1980’s. In fact before that as a school boy at Forest Gate School he was good at all sports he turned his hand to. Bentham belonged to Newham AC to begin with that was amalgamated later with Essex Beagles. As a junior he won Essex Championships and remembers also as a senior having a great rivalry with Terry Whitehead (1980 AAA’s Champion). Kermitt Bentham joined TVH in 1980 and met his coach Ron Rodden. At the time Rodden had Les and Trevor Hoyte in his training group. Bentham gained 13 international vests and eventually ran his fastest ever 400m of 46.57 in the Southern Championships on the 27th of June 1987. 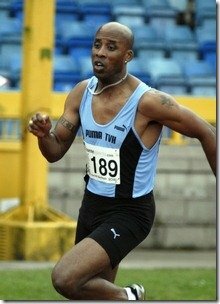 In his first international he was in the British team that beat the Commonwealth Indoor 4x400m record at Cosford with a time of 3.07.4 (Team John Regis, Paul Sanders, Paul Harmsworth, Kermitt Bentham). ‘ When I was around in those days said Bentham ‘There were two groups of 400m runners in the UK. One group who ran 44-46seconds and another massive group who ran 46-49. That second group were all fighting to get into the top group, many of whom ran in the Big Games. Consequently you had to have an ‘A’ & ‘B’ Final in the Southern and the AAA’s. I ran 47.1 in a AAA’s Championship an did not progress to the next round where as now, with a time like that, you make the Final. Kermit Bentham concludes ‘ I go out there and compete, what else would I do. I love the sport"
a motivation to us all !! !